From Throwback Thursday to Wellness Wednesday, social media trends get lots of users talking. Inserting yourself into the conversation is a great way to drive traffic to your site, build brand awareness and gain followers. Here are social media trends you can use in your campaigns every day of the week. Everyone can relate to a case of the Mondays. The #MondayBlues tag is popular for conversations surrounding being tired from the weekend, bogged down because it’s raining or even sharing bluesy music! #ManicMondays are for those who prefer their Monday have higher energy than the #MondayBlues crowd. Office workers and professionals love participating in this social media trend that is characterized by sharing photos of piles of office work, slogging through emails or having a coffee break pick-me-up. Want to motivate your followers to have a great week? #MotivationMonday is a fantastic opportunity to share an inspirational quote or image that relates to your industry. Tuesday’s trend is devoted to personal development. Users share the tag #TransformationTuesday to post pictures of their workout goals, inspirational quotes and ideas for betterment. This social media trend could be perfect for businesses when sharing photos of a new renovation or unveiling a new product. Tuesdays are a great day of the week to showcase quick, helpful tips for your followers. When you post advice, use the tag #TipTuesday to increase the update’s visibility on social media. Similar to Tuesday’s trend, #WellnessWednesday is about personal health and wellness. Social media users tag photos and tweets sharing small ways they are focusing on their health. Companies use the tag to promote healthy products and start conversations. Do you have a nugget of wisdom to share with your followers? Post it on Wednesday and tag it with #WednesdayWisdom to join in the weekly conversation. #TBT is a popular choice for social media users to share childhood or more recent memories. Use #ThrowbackThursday to share your company’s history and story; customers will love getting to know you on a personal level. #FoodieFriday is a fun way users share pictures of food, making it a great trend for restaurants to take advantage of. #FollowFriday, or #FF, was invented as a way to encourage users to follow others and explore new interests. This can help spread the word about your business. Want to share facts or statistics with your followers? Fridays are the best day of the week since you can include the hashtag #FactFriday, giving the update more visibility. Along the same lines, the #FridayFunday tag is great to use alongside some Friday humor. Share an amusing meme or something fun that relates to your industry to ring in the weekend. Something marketers of the Internet quickly learned is that adorable pictures of cats sell. Inserting #Caturday into your social media marketing plan will make your followers want to ooh, ahh and keep reading your updates. Sundays are not immune to social media trends. #SelfieSunday encourages sharing photos of what’s happening in your world. Use this tag to share more about your business, your employees or showcase a valued customer. These social media trends are a way for businesses to engage with fans on social media using common topics to start conversations. 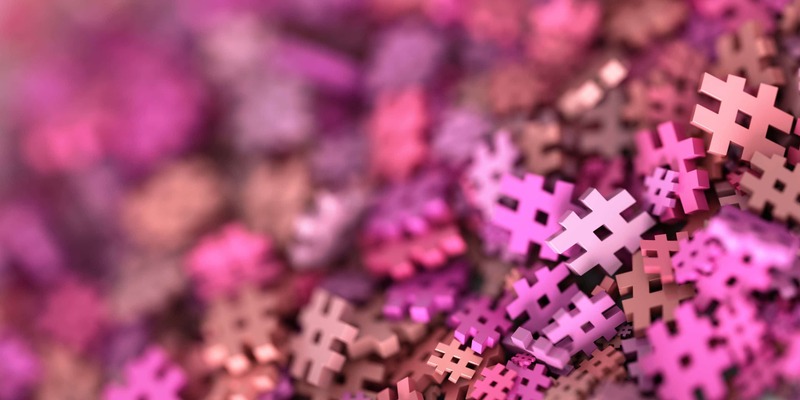 Using trendy hashtags tells followers you’re up to date on the industry and enjoy conversing with them. Do you have any favorite social media trends you like participating in? Please share in the comments below.